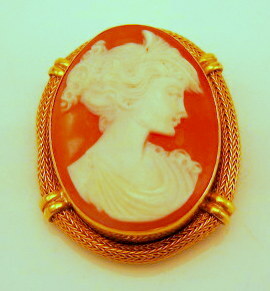 This beautiful hand carved shell cameo lady brooch is set in a solid 18 ct Gold frame. 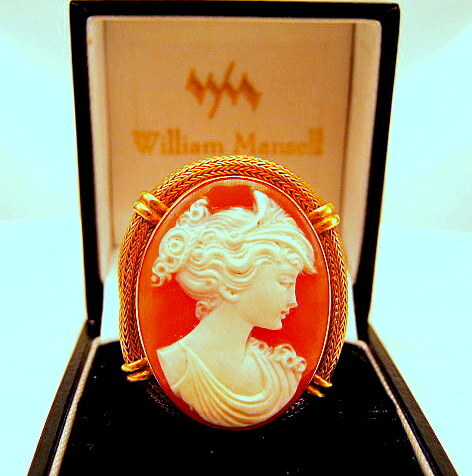 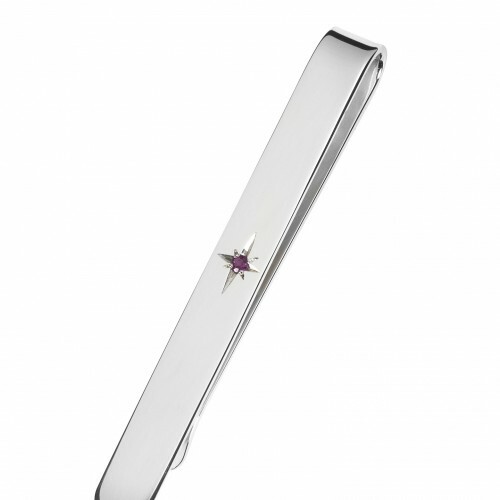 One can wear this as a brooch or alternatively there is a pendent fixture at the back too. 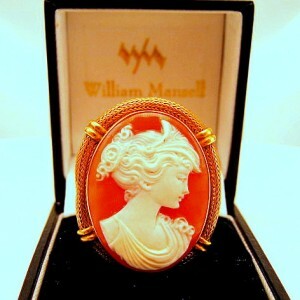 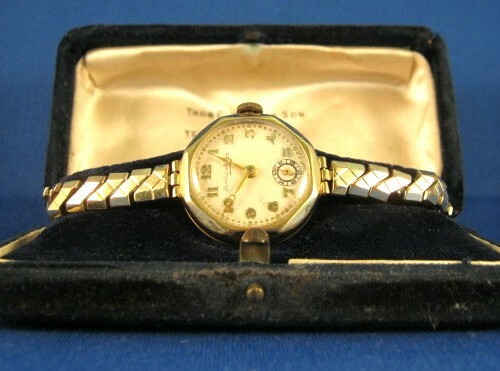 Categories: Jewellery for Women, Vintage, Giftware.